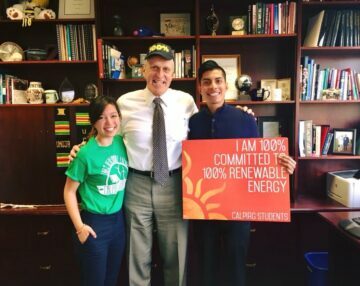 Convinced the University of California system to commit to 100% renewable electricity by 2025. Helped pass SB100 in California which committed the state to 100% renewable electricity by 2045. In the 2017 budget proposal, the U.S. House proposed cutting $3.3 billion from the Pell Grant program. MASSPIRG Students and Student PIRG volunteers came together to generate more than three thousand calls and petitions to their Senators urging them to stop this enormous cut to financial aid, ensuring that it did not become law. 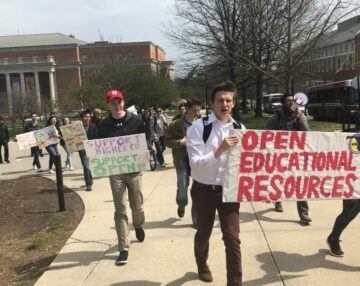 The Student PIRGs launched the Open Textbook Alliance, which works with student governments nationwide to pass policies supporting the adoption of free open textbooks. It seeks to replicate successful programs like the ones at UMass Amherst and UConn Storrs that have saved students millions of dollars. Chris Lindstrom, USPIRG’s Higher Education Program Director, worked in a Department of Education negotiated rulemaking session to craft the “borrower defense” program. It investigates complaints from students who have been taken advantage of by predatory lenders and for-profit schools, like Corinthian College and ITT Tech, and allows them to get some or all of their loans forgiven. In California, we collected thousands of petitions, held nearly a dozen press conferences, and helped pass Prop 67 which finalized California’s plastic grocery bag ban – the first statewide ban of its kind in the country. In Massachusetts, we passed city council resolutions in Salem and Dartmouth to move towards 100% renewable energy, and successfully lobbied our State Representatives to raise the cap on solar which will provide enough new clean energy to power over 100,000 homes in across the state. In Oregon, we helped pass the Coal to Clean bill which will double Oregon’s clean energy usage and get the entire state off all coal by 2030. In California, we blocked utility efforts to gut the state’s strong solar energy incentives. 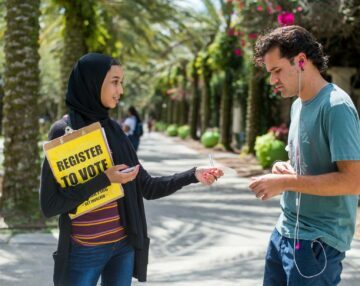 WashPIRG Students helped gather signatures to qualify the Honest Elections Initiative for the ballot, then helped canvass and phonebank to pass the initiative in November. CALPIRG helped ban plastic grocery bags in Los Angeles, the Bay Area, Santa Cruz, Davis and Santa Barbara and helped pass the first statewide ban. Volunteers from Arizona PIRG, CALPIRG, ConnPIRG, INPIRG, Maryland PIRG, MASSPIRG, MoPIRG, MontPIRG, NJPIRG, Ohio PIRG, PennPIRG, WashPIRG, and WISPIRG generated thousands of calls and petitions to their Senators to stop H.R. 1, a federal budget that included a $5.7 billion cut to the Pell Grant program.